Although Didion deals mainly with corn, one of our byproducts supports the dairy industry- DDGS. DDGS, or dried distillers grains with solubles is a co-product of the ethanol process. DDGS are typically a supplement for protein and energy in an animal’s diet. How do we make DDGS? Developing the DDGS starts with the development of ethanol. The ground corn is fermented and the yeast converts the corn starch into ethanol. Ethanol is then removed and the remaining mash contains protein, fiber, oil & minerals. The mash then is combined with a syrup that was created through evaporating water during parts of the process. This mixture is called Wet Distillers Grains with Solubles or WDGS. WDGS are then dried down to become Dried Distillers Grains with Solubles, or DDGS. What are DDGS used for? DDGS are mainly used for livestock feed. They increase necessary nutrients for animal health, and can be a cost-effective way to supplement corn and soybean meal in a feed ration for many livestock producers. DDGS are used on dairy farms as well as beef, swine and poultry markets. 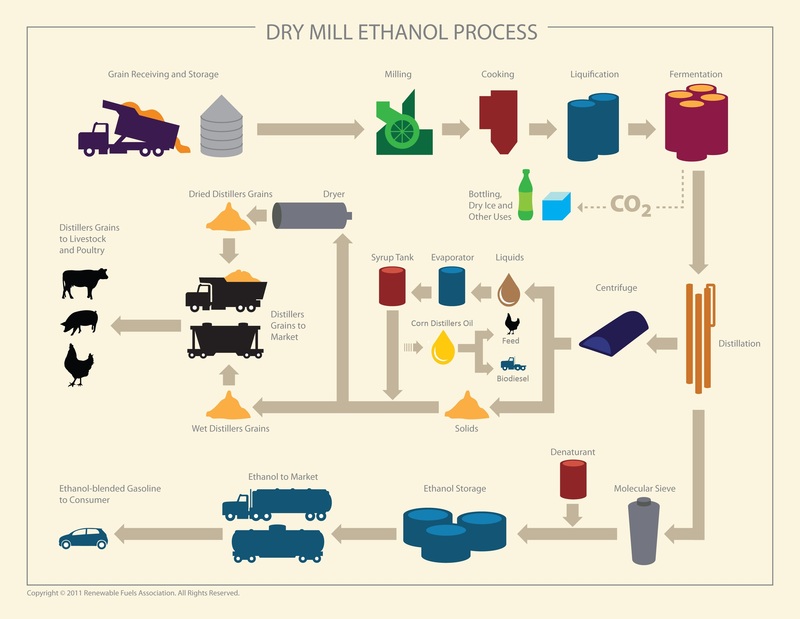 DDGS are the co-product of our ethanol process. We have several producers that both supply Didion with corn and buy distillers. So while you enjoy your milk, ice cream or cheese curds this June, keep in mind the corn products that help make these dairy products possible!